In late December 2009, Jackson announced his interest in the movie adaptation of the novel Mortal Engines. In October 2016, Jackson announced that the film would be his next project as producer and co-writer, alongside Fran Walsh and Philippa Boyens once again. The film is directed by his long-time collaborator Christian Rivers. The film stars Robert Sheehan, Hera Hilmar, Hugo Weaving, Jihae, Leila George, Ronan Raftery, and Stephen Lang. It premiered on 27 November 2018 in London. The film received mixed reviews and was a box-office bomb. In 2006, Jackson also won the rights to a film adaptation of the fantasy novel series Temeraire, a novel written by Naomi Novik about dragons being used in combat in the Napoleonic Wars. However, as of 24 February 2016, Novik confirmed during a Reddit AMA that the rights reverted to her, and that there are no current plans for any adaptations. As well as this, Omaka Aviation Heritage Centre presents the Knights of the Sky exhibition, featuring Jackson's own collection of WW1 aircraft and artifacts. This story of aviation in the Great War is brought to life in sets created by the internationally acclaimed talent of WingNut Films and Weta Workshop. In 2006, Jackson received the Golden Plate Award of the American Academy of Achievement. 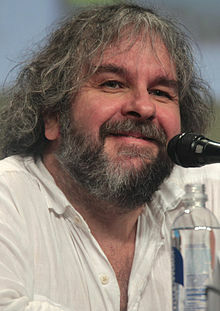 ^ "Peter Jackson Biography and Interview". www.achievement.org. American Academy of Achievement. 3 June 2006. ^ "London hosts the world premiere of Sir Peter Jackson's Mortal Engines". Stuff. Retrieved 29 November 2018. ^ a b Jackson, Peter (30 January 2019). "Hi Folks". Peter Jackson's Facebook. Retrieved 30 January 2019. 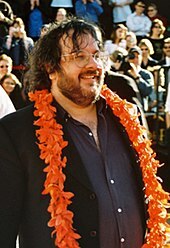 ^ a b "Peter Jackson To Direct Documentary On The Beatles Recording 'Let It Be'". NPR. 30 January 2019. Retrieved 30 January 2019. 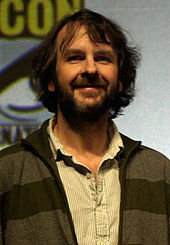 ^ a b "Peter Jackson to Direct Beatles Film". The New York Times. 30 January 2019. Retrieved 30 January 2019. ^ a b Trumbore, Dave (30 January 2019). "Peter Jackson Follows Up on 'They Shall Not Grow Old' with 'The Beatles' Documentary". Collider. Retrieved 30 January 2019.